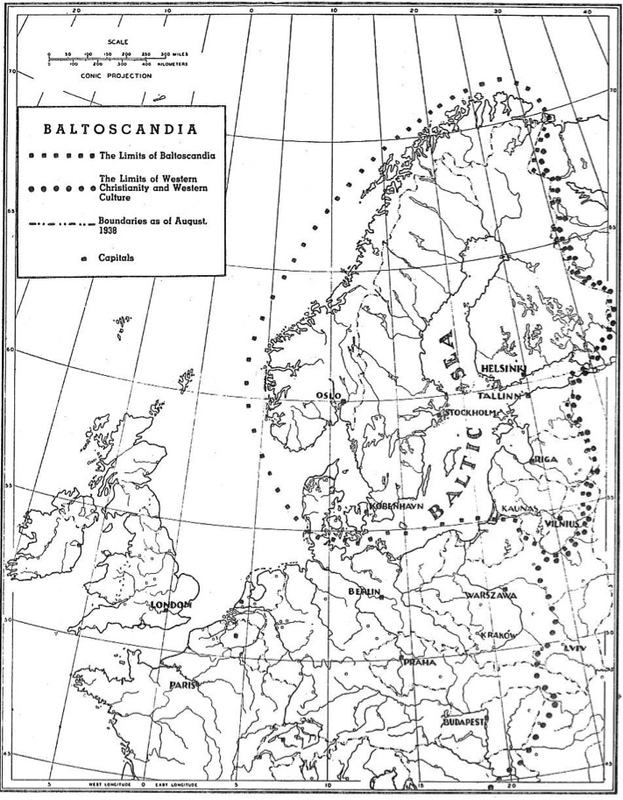 The term “Baltoscandia” was coined by the Swedish professor Sten de Geer in the geographical journal “Geografiska Annaler” in 1928, and used to describe a geographical region composed of Scandinavia and the Baltic States. Sten de Geer’s article was the first effort to geographically separate the Eastern Baltic countries from the Russian Planes and to include it them in the Scandinavian region. Baltoscandia was further developed by the Lithuanian professor Kazys Pakštas as a geopolitical concept promoting the idea of a Baltic–Scandinavian union, which consists of Sweden, Denmark, Norway, Iceland, Finland, Estonia, Latvia, and Lithuania. Prof. Kazys Pakštas believed that because of these similarities the smaller nations could unite and to cooperate more closely, thus enabling them to withstand the influence coming from the large ones. After Lithuania regained its independence in 1990, prof. K. Pakštas’ dream of Baltoscandia had begun to slowly realize. The Baltic Assembly and the Baltic Council of Ministers were founded after the example of the Scandinavian States. This paved the way for a historic meeting in April 1996 in Vilnius, where MPs from the Scandinavian and Baltic States met for the first time and laid the foundations for future cooperation of these eight states. If you’re interested in the concept of Baltoscandia we invite you to do some further reading on professor K. Pakštas’ ideas in this booklet.